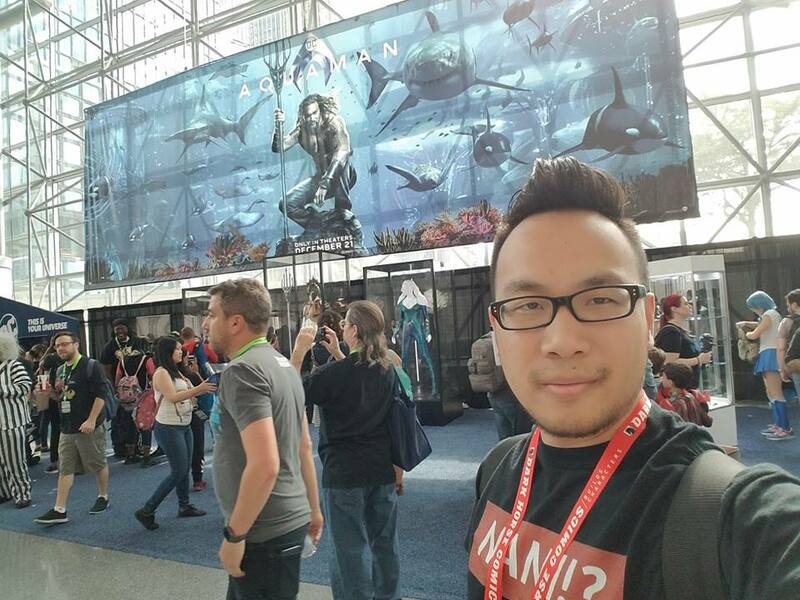 Hey everyone, New York Comic Con is over for 2018, and I’m wishing that NYCC for 2019 is here already! It was a good year for me overall. I’ve went with good friends, friends I’ve just met who attended comic con with me, had the opportunity to meet and greet some celebrities, and most of all; the cosplayers who did an outstanding job in being the character that they were dressed as! I wanted to share my take on this year. After attending Anime Fest on Thursday; I quickly had to head over to the Javits Center because I had to be in time for my professional photo session with celebrities (I use ‘session’ loosely; only lasts 2 seconds haha). I had the opportunity to meet WWE superstars Sasha Banks, Bayley, and Finn Balor! What I liked about this is I had a moment to speak to them very briefly. No matter how long it was; it was good enough for me. They had taken the time to be at Comic Con, and that was something I was very grateful, and I let them know that. It’s always good meeting up with friends who enjoy comic con as well. I met up with Faye and Johnny; who I haven’t seen in a while, very awesome to hear that they’re doing well! I watched them get some cool Power Rangers merchandise signed by the cast of the Mighty Morphing. I ran into another friend of mine who I haven’t seen in a while also; Jason. Hung around with his friend also for a bit. Next; I met up with my good buddy, Melvin, we went around the concourse area and artist alley for a little bit towards the end of the day; when the show floor closes up. It was during that time when we took more cosplay pics when another friend; Alex, just popped up. We chatted for a quick second before he had to leave. And of course, I cannot forget the cosplayers that are attending as well! It is absolutely one of my top highlights whenever I’m attending of any comic con! Finally, on the last day; was where if we needed to pick up some last minute items. Sometimes you may find vendors have a sale on some items to move their merchandise, so that they have less items to pack with them when they leave the Javits for Comic Con 2018. I ran into a friend of mine, Swie; dressed as Oogie Boogie, and walked around artist alley for a few hours. He introduced me to his friend who was vending in artist alley. To end, this was a good weekend. The one time of year at my home con where all my friends who are fans of the show come through and celebrate their inner geek fandom. It was good catching with friends who I haven’t seen in a while; see what they have been up to, and all that good stuff. I find some of those friends cosplaying as well; which is always very cool. My most favorite part is taking pictures of those who are cosplaying, with picking up some cool art a very close second. Meeting with celebrities to take pictures and speak with them is always an honor and a privilege to me to be able to do. Being able to interact with those who were in your favorite TV show or movie to find that they’re not all that different from us, just have more passion and pride in their work that they do or have done. 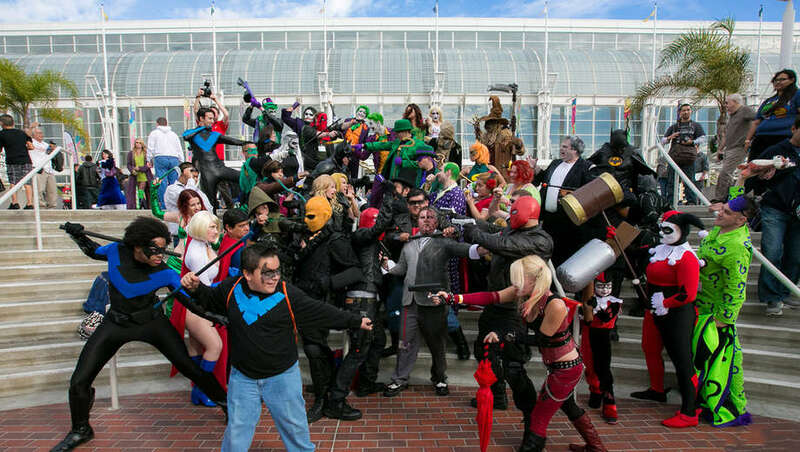 Of course, as Comic Con will only get bigger; which is a good thing, the amount of walking and breathing space decreases, as all attendees have to just keep on moving. I’m sure when Javits finishes their renovations; we, the fans, can have more space to move in. Thanks for the read, and look forward to my next con blog entry!